Bob Lucas' Santa Clarita Custom Air has been committed to providing the best value in heating and air conditioning services for homeowners and businesses throughout the Santa Clarita and San Fernando Valley for the past 27 years. We are a family-owned and -operated HVAC company that believes in delivering outstanding-quality service at a fair price. We're also a Carrier Dealer. Our services include heating and air conditioning repair, preventative maintenance, sales, and installation. Since 1990, we have served well over 15,000 satisfied clients, many of whom are still loyal customers. 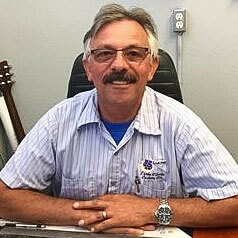 Santa Clarita Custom Air was founded by Bob Lucas, who has more than 38 years of experience in the heating and air conditioning industry. To quickly grow Santa Clarita Custom Air, Bob acquired four HVAC companies, two of which he use to work for. With each new company that he purchased, Bob not only expanded his customer base, but also added the most qualified technicians to his team. As a result, Santa Clarita Custom Air now has some of the most skilled, knowledgeable, and experienced technicians in the local area, many of whom have decades of experience and are NATE certified. Additionally, he requires all his staff to have graduated from a trade school and participate in ongoing training from IHACI and Carrier. This ensures that our technicians are up to date on the newest HVAC manufacturer innovations, the best installation and service techniques, and the latest state and federal building code requirements. Bob Lucas included his name in the company's because he wants his customers to know that his business is a reflection of what he stands for: honesty, fairness, and value. His customers are his top priority, and it shows in how we do business. Rather than spending our time and money constantly trying to find new customers; we focus on keeping the ones we already have. That's why we currently receive 80% of our business from returning customers and the remainder from customer referrals. Santa Clarita Custom Air highly values each customer's experience with us in all aspects of service. If we are running late on our way to an appointment, we provide a courtesy call. We arrive at each appointment with a fully stocked service vehicle so that most repairs are completed on the first visit. When working inside of a home or business, we use shoe covers and canvas drop cloths to protect the property. Once we're done, we do a final check of our installation or repair, and then thoroughly clean the work area. After we are done, we send a customer satisfaction survey that gets sent back to our owner. If we fell short of your expectations in any way, we want to know, so that we can address it and prevent it from happening again. Contact Santa Clarita Custom Air today to work with a heating and air conditioning company that is reliable, professional, and honest. Because we feel that we are only as good as our last job, you can always count on us to do everything we can to deserve your business.